Visit Floyd Virginia | BINGO AT THE BREWERY! 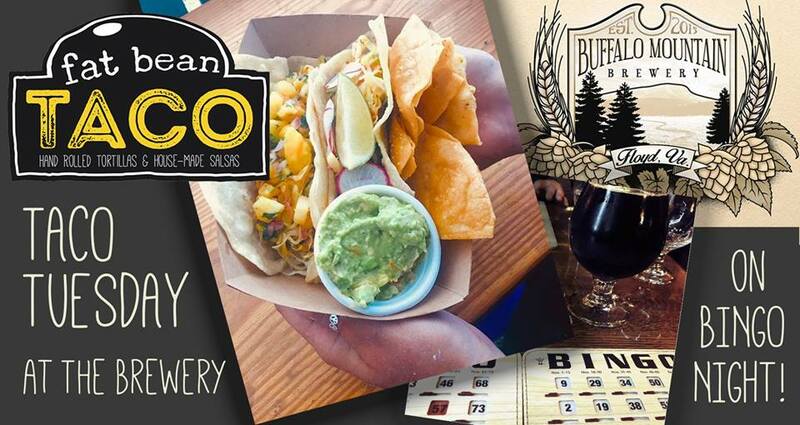 TACO TUESDAY BINGO AT THE BREWERY IS SPONSORED THIS WEEK BY FLOYD FITNESS! STARTS AT 6PM, $1.00 TO PLAY, AND EVERYONE IS A WINNER! FAT BEAN TACO TRUCKS FILLS OUR BELLIES, WHILE BINGO FILLS YOU WITH LAUGHS AND FUN. FCHS Dogs and Cats at the Brewery!